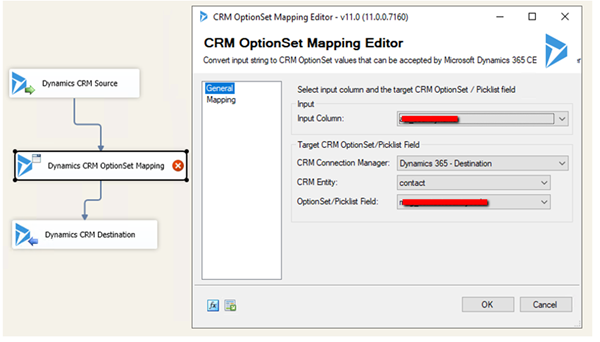 Mapping CRM OptionSets is fairly simple when migrating data using KingswaySoft SSIS. 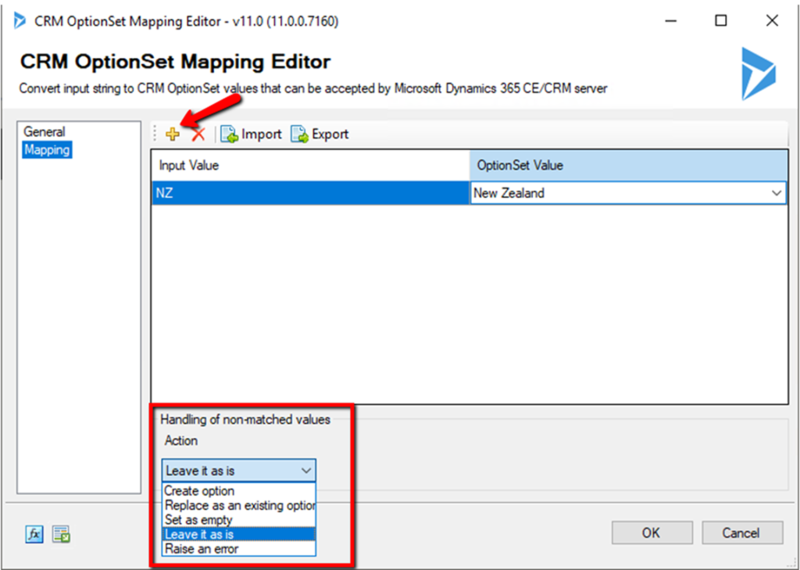 It allows you to either map the options using the optionset value or using the optionset name. However, things may become complex if your source and the destination system have optionsets with different value and different names. Step 1: Setup OptionSet Mapping component between your source and the destination flow tasks. • Input Column: Select the field to receive the data from. • CRM Connection Manager: Choose the target Dynamics system. • CRM Entity: Choose the desired entity in the destination system. • Option Set/Picklist Field: Specify the optionset for mapping. Step 3: Add your mapping by clicking on the add (+) icon and, define the Input and the OptionSet value. Create option: This creates a new option of the chosen input value for the specified optionset field if no match is found. Replace as an existing option: You can specify another option value to be used if no match is found. Set as empty: As the name describes, it sets the output value of the column to empty if no match is found. Leave it as is: This is the default value which passes the chosen input value. Raise an error: This option throws an exception and stops the complete process if no match is found. 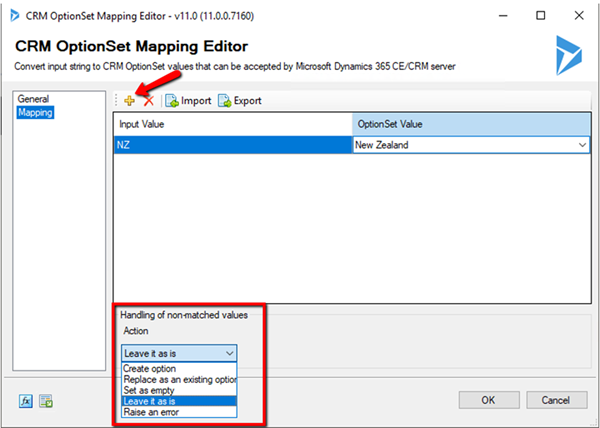 Your optionset mapping will work seamlessly after setting up the mapping editor. This can also be set up with integrations between your systems on an ongoing basis.